Without regret, I would describe myself as a mature rider. Not old. 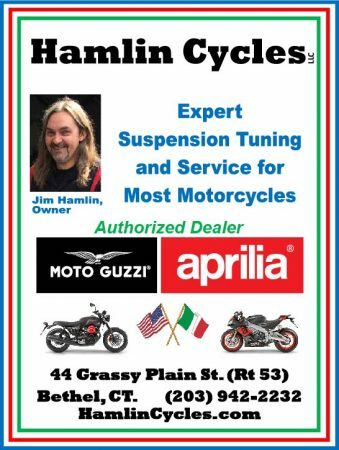 Thru the many years of swinging my leg over the saddle of a motorcycle, I can describe in detail what the appeal was for owning every motorcycle that I’ve ever had. As a younger man, I can remember riding my ’72 Triumph Bonneville 650. That bike stuck out like a polished diamond in appearance and was extremely reliable. It was on that machine that I found the allure of long distance riding. Many performance type machines rotated thru my garages, too. It is obvious that a big part of riding a motorcycle for me is the swift acceleration. Going long distance and doing so quickly completes the puzzle. Having a motorcycle that is powerful enough to carry my travel gear without sacrificing performance and doing so comfortably is everything I want out of a bike at this point in my life. Having favored both the BMW K 1600 and the Honda Gold Wing, this year I have chosen the 2018 Honda Gold Wing. Both have visual appeal. 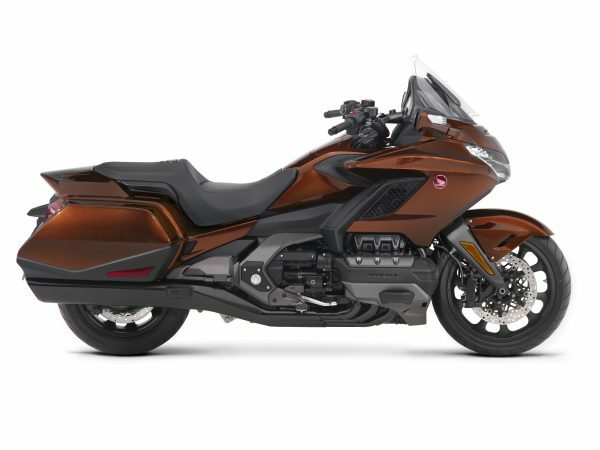 Both have notable performance features and that bagger look I like and even though the Gold Wing is 60 pounds heavier. I would like to put that seven-speed automatic transmission on the Gold Wing to work on a long distance ride. I’m a frugal person. Exotic bikes are nice to look at and dream about, but can have an expensive cost of ownership. My daily ride has been a basic sport-touring bike for nearly two decades and is still my preferred ride style of choice. 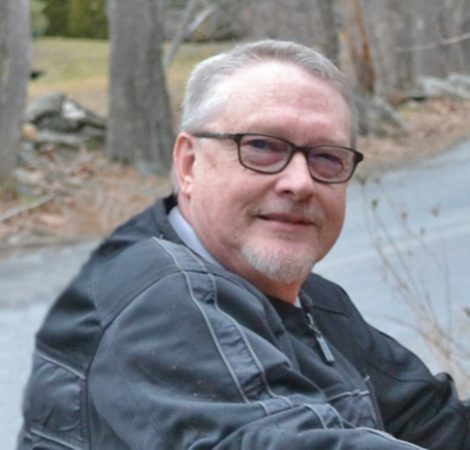 However, beginning a few years ago, I’ve felt a desire to get back to my teenage years and roots by getting a dual-sport bike that I could have some fun with on the dirt and gravel back roads of New England. During the summer of 2014, I enjoyed an extended demo ride on the venerable Kawasaki KLR 650 around Johnson City TN. While a skosh tall for my 30-inch inseam, the roughly 400-pound weight and the less than 40-horsepower engine made for an incredibly fun bike around town. It sips fuel compared to my present 1.4 liter ride. The light weight of this bike makes it fairly agile, even with knobby tires. The low entry cost and tough design would stand up well for someone re-learning off-road riding or a bit of winter two-wheeling in the snow. If I could buy one new bike this year, it would be the BMW G 310 GS. 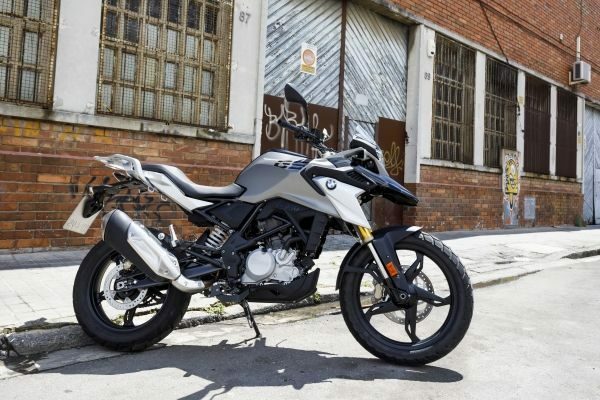 As a minimalist adventure rider, I have always loved the ‘go anywhere’ feel of smaller, lighter dual-sport or adventure motorcycles, and BMW has now finally jumped on the small bike bandwagon with this offering. The G 310 GS reviews are coming in and proving that the “baby GS” is worthy of the BMW name – solid craftsmanship and surprisingly nimble performance off-road. Also, Rally Raid is making a kit designed for this bike which will further improve upon the bike’s dirt worthiness and touring capability with such things as spoked rims, bash plates, luggage racks, windscreens, performance exhaust and, most importantly, a number of suspension options for both the rear shock and forks. 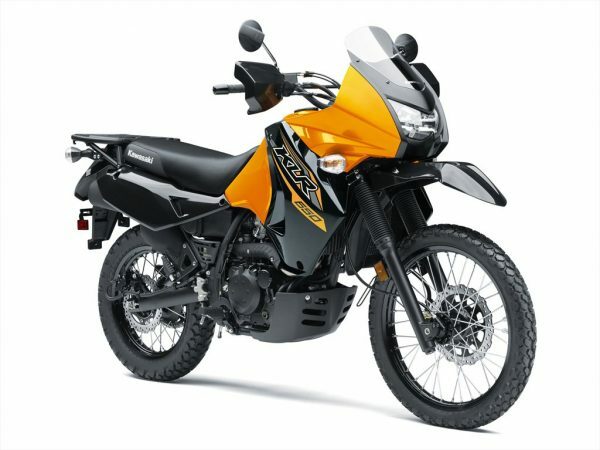 Very excited about the minimalist adventure potential of the G 310 GS. Can’t wait to test ride one – as it may be coming home with me afterwards! 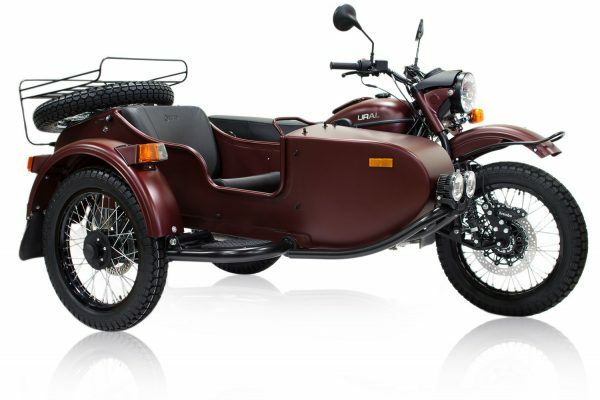 If I were to purchase any motorcycle this spring, it would be a two-wheel drive Ural – the “Russian BMW” with a sidecar. I’ve ridden one and truly enjoyed the experience. 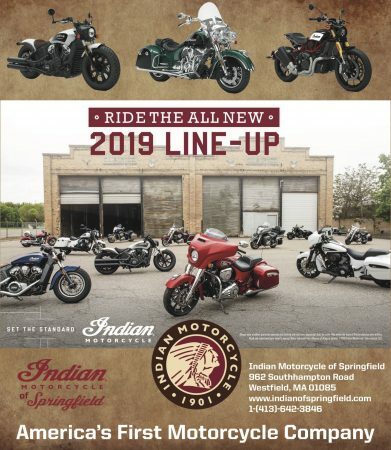 I took a look at the Ural booth at the motorcycle show back in January in Springfield MA at the Big E. Since I last rode one, there have been small changes and upgrades. There are cool colors and matte finishes and the seat upholstery was nicer. It almost looked like a contemporary motorcycle/sidecar combo. Almost. However, the effect is more like applying make-up to a member of the porcine family (to put it more politely). Regardless, to me, it is still a desirable motorcycle precisely because of its agricultural bearing. It all has to do with where I live. That is, on a steep hill in rural Vermont, surrounded by a vast network of dirt roads that are an absolute blast to explore. If a body had the desire to navigate those gorgeous meandering gravel paths year-round, the Ural could handle it, albeit slowly. 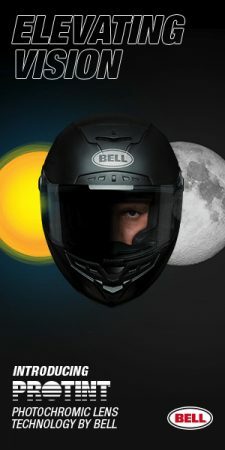 This fits quite nicely with my philosophy that one ought to possess more than a single motorcycle for various purposes. The Ural is purpose-built. 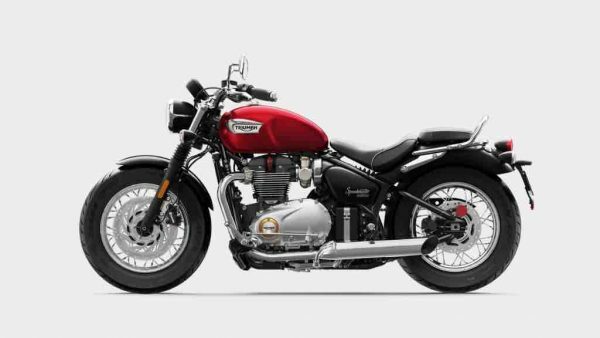 It would be a wonderful complement to my Triumph Bonneville and Harley-Davidson Sportster, and it would probably work quite well for my daily commute over roads that tolerate a more leisurely pace. Engaging in a little “what-if” day dreaming is always fun, especially if it’s about which motorcycle might find its way into the garage. Insomuch as my Ducati Multistrada 1200S is pretty terrific at just about everything I need it to do, it requires just a little extra thought to come up with my idea of an addition to the stable. Maybe because my Ducati seems to have more on-board technology than the first Gemini earth orbiters, I sometimes crave a return to simpler times. 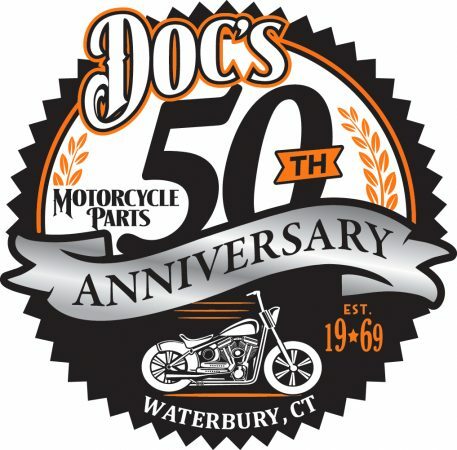 I’m not ready to go back to the 35-horsepower, six-volt electrics, and drum brakes that were on my 1969 BMW R60/2, but something more basic than the Duc might be intriguing. Having been spoiled by the 150+ horsepower on the Multistrada, I would need some pretty serious get-up and go on any candidate bike. The wind protection on the Multi is quite effective, so a return to a more wind in your face bike might be fun for shorter hops. Windshields, saddle bags, and fairings all add to a sense of bulk that would be nice to leave behind for a while. The TFT dash display on the Multistrada looks like it came out of the cockpit of an Airbus A330. All of that information is quite useful and can even be entertaining at times. Keeping with the less is more approach, I think a fairly basic set of instruments would part of the next bike’s standard equipment. Not wanting to deal with the hassle of keeping an old bike on the road, the dream bike will need to be of current vintage. No old Beezers or Trumpets for me. By process of elimination it seems that I’ll be dreaming about one of the crop of performance-oriented naked bikes. It would be fun to put the list together and choose the right one for me. 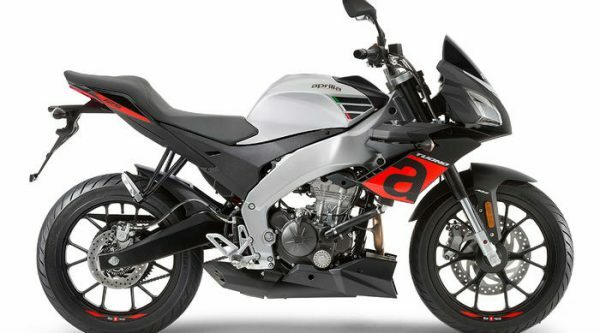 Typical candidates might include: KTM Super Duke, Ducati Monster 1200, Aprilia Tuono, Yamaha MT-10, etc. Unfortunately, none of these are technologically simple – that just seems to come with the territory these days. I guess I’d be willing to make some compromise to get on one of these bad boys! 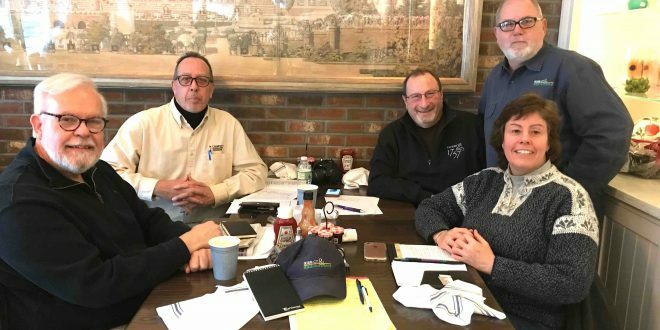 The sore muscles and creaky hips and knees that come with advancing years are spurring thoughts of downsizing – maybe getting a bike that’s either lighter or shorter. Maybe not immediately, but someday soon. Two new models currently on my radar are the Royal Enfield Himalayan and the Triumph Speedmaster. The Himalayan would be a great second bike. It’s an on-road, off-road machine with a 411cc, 24.5 horsepower single engine and affordable $4,500 MSRP. Steve’s choice of a KLR 650 serves the same purpose, but it’s much taller and pricier, although it’s time-tested while the Himalayan is not. The Speedmaster, meanwhile, is a mid-sized sporty cruiser. I just love the styling. My preference is for mid-pegs and the Speedmaster can be altered from the stock slightly forward pegs. With a 28-inch seat height and weight of 541 pounds, it’s also manageable.